Current economic growth in Germany has created a demand for between 500,000 and 800,000 professionals in the labor market. 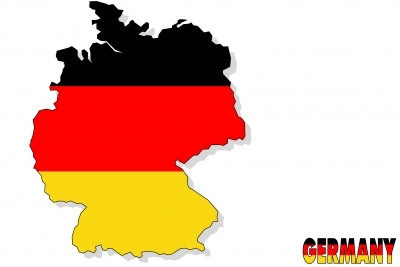 In these paragraphs, we will present job opportunities for professionals in Germany. The German government is generating programs to attract professionals, because there are just a few qualified employees in that country. This has come to the point of needing 36.000 ENGINEERING qualified professionals with experience in the industry. Today, there is a shortage of professional staff in Germany. The four sectors, which demand more professionals are: Tourism and Hotel Management, Engineering, Education and Health. Specialists in these areas have better wage opportunities. For example, a highly qualified professional may receive a minimum salary of 83.700 Euros. In Germany workers have: Thirty days of vacation and high remunerations. Below we present the places to go to look for work. – Newspapers: They have sections to search for jobs, which are usually published on Wednesdays and weekends. We recommend reviewing the following newspapers: Frankfurter Allgemeine Zeitung, Die Welt, Handelsblatt, Frankfurter Rundschau. Karrierefueringenieure.de (See the link: http://www.karrierefueringenieure.de). In this site you would find jobs for engineers of all specialties. Semica-careers.com (See the link: http://www.semica-careers.com). This site offers jobs for engineers who are interested in the semiconductor industry. Ingenieur24.de (See the link: http://ingenieur24.de) on this page it is shown data to learn about the German labor market, in addition you would find job postings for engineers. Finally, to opt for a job in Germany, you have to master the German language, at a minimum intermediate level. It is important not to focus the entire search for work in big cities like Berlin and Munich; you can try also, search employment in smaller cities such as Stuttgart, Dusseldorf and Frankfurt.